The FatShark pan and tilt camera mechanism is the latest design for the new generation of 600TVL CMOS cameras. 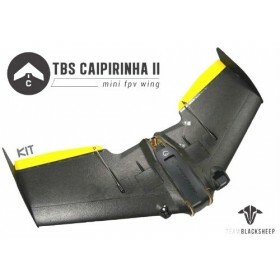 First Person View / FPV users will enjoy the pan and tilt mechanism which uses two 9g 180 servos to deliver a smooth pan and tilt action when used with the head tracking. 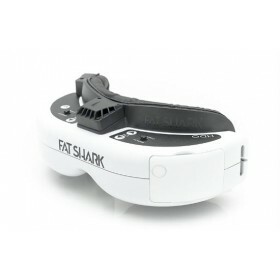 The FatShark pan and tilt system allows for 110 degrees of panning and tilt on each axis. 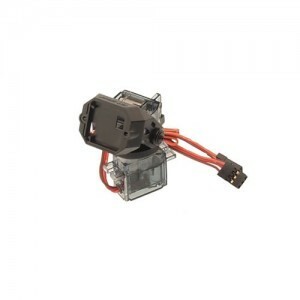 FatShark re-designed the pan and tilt system specifically for the new 600TVL fixed CMOS cameras. Improvements found in the pan and tilt system design are the weight distributed C of G, this helps to prevent the tilt servo from stripping on hard landing, there is additional space to run camera cable internally. The FatShark pan and tilt mount may be used with other cameras but some modifications may need to make them fit correctly.